I had just wheeled my bike out of the courtyard and was about to hit the street for my ride to work this morning (yay, bicycling!) when I noticed a massive truck delivering big, shiny green recycle bins for everyone on Walnut St. The new bins are part of the Cincinnati's expanded recycling efforts, distributing much larger bins to residences and businesses everywhere. Don't have your cart? 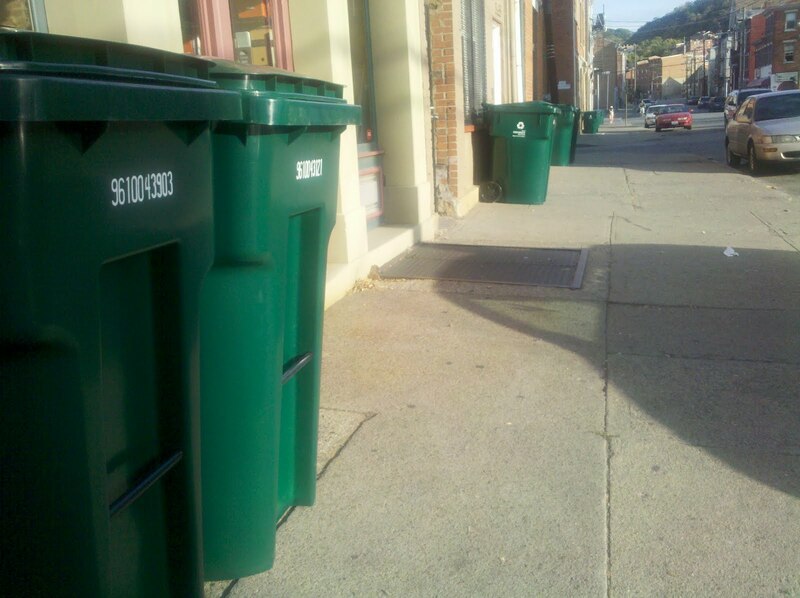 It's easy to find out when your neighborhood will receive theirs. The new recycling carts will continue to roll out through January. Cincinnati is encouraging everyone to champion recycling efforts in the city, and intends to roll out an incentive program that allows people to earn points for being earth friendly. 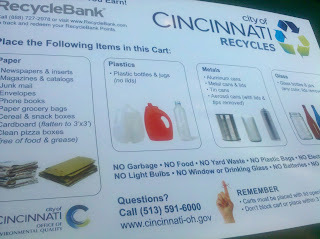 The only bummer about this recycle effort is that it doesn't include plastic bags. I know many of us have gravitated toward more environmentally friendly, reusable bags, but some of our friends are still using the plastic variety found at the store. Confession: I've been guilty of using a plastic bag or two when I've hit up the store on a spontaneous shopping trip. But I'm trying... and I guess that counts. 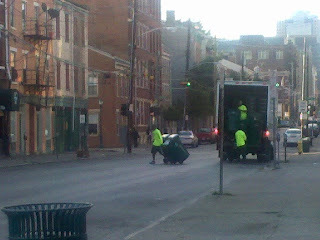 I know I am recycling and reducing my waste far better than I was a year ago. Everything we buy has to end up someplace, and I am really making an effort to send more stuff to recycling/Goodwill or share with friends who may be able to give something a second life. 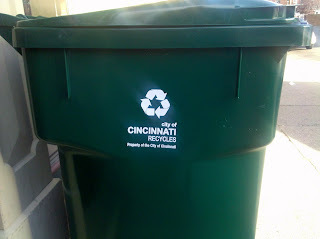 Here's to hoping you all get just as excited to see a new recycling bin on your doorstep. And here's to hoping more of us start using them!